ADELAIDE BECKER—social outcast and sarcastic know-it-all—enjoys her quiet life until a giant alien crash-lands into it. He claims she’s half alien like him—an Earthborn—and he’s there to save her from the coming invasion. Being half little green man isn’t enough to convince Addy to go along with her supposed savior, but when her mother’s safety is threatened, she takes off on a journey that leads her to discover the other, more exotic side of her family and the power she holds deep within. BROCK GRIGNI thinks this will be like any other Earthborn collection. His job is simple—bring his fellow Earthborn back to the compound and save them from the threat of becoming breeding slaves at the hands of aliens from their home planet, Ayezh. He isn’t prepared for Addy—beautiful, smart-mouthed, and his complete opposite in every way. When he learns that everything he trusts is a lie, he has nothing left to hold onto except Addy. Together, Addy and Brock must struggle with the challenges and choices before them. Stay and fight, or run and hide? They know the Ayezhni—their ancestors and aliens from a planet in distress—are on their way and will make a collection of their own. 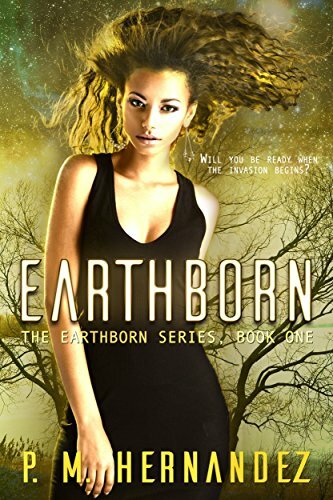 Addy feels compelled to help her fellow Earthborn, but can she do that and keep her loved ones safe at the same time?